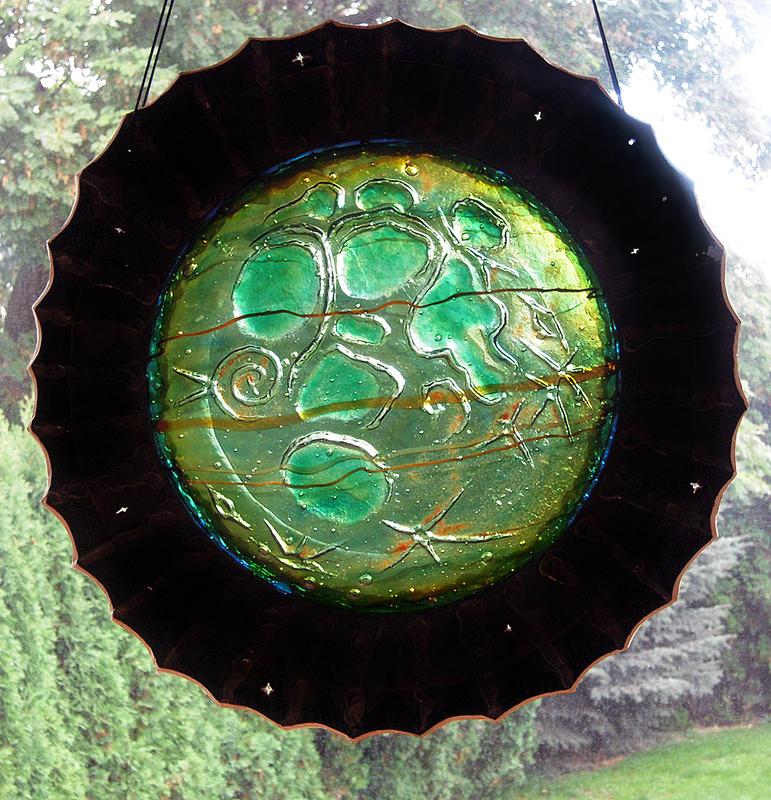 This panel was designed and fabricated by C. Goodman depicting the Man in the Moon. 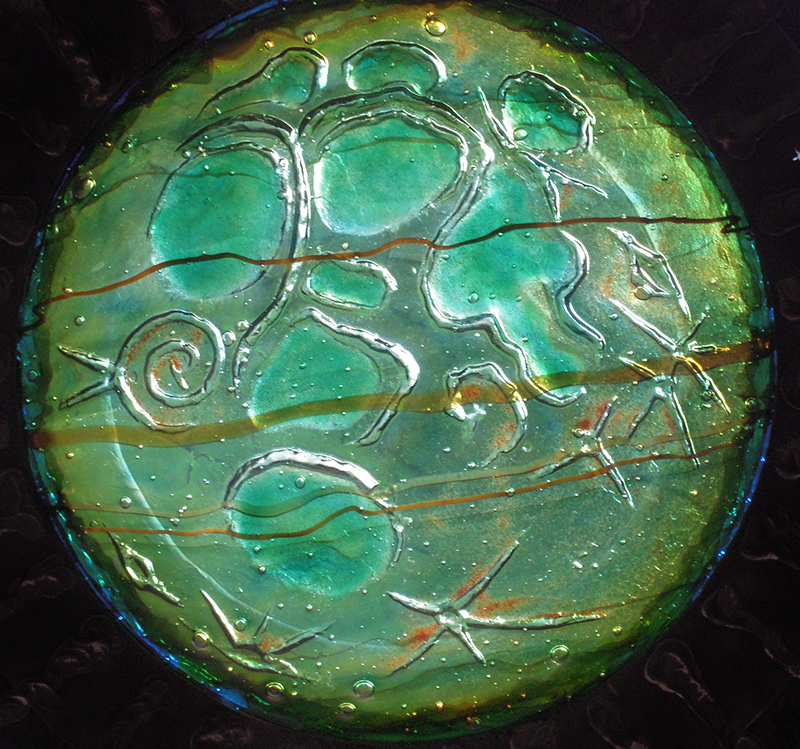 The glass circle in this panel is approximately 17" diameter. It has been fused and cast. The glass has been framed in a heavy plywood frame with a scalloped edge and drilled holes that signify stars. The panel has 2 holes drilled in the top right and left sides and is supported by heavy cord. The overall diameter of the whole piece is 23".